Tim Snarski was born and raised in Northeastern Pennsylvania. He attended King’s College for General Science and Johnson College where he earned an Associate degree in Applied Science in Veterinary Technology. 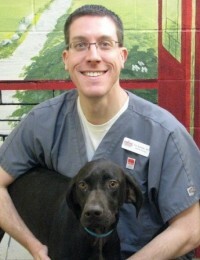 In June 2002, he completed the Veterinary Technician National Exam attaining Certified Veterinary Technician status. 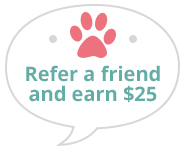 He regularly attends continuing education to provide the most up to date care for your pet. While taking each day as a new challenge and learning experience, he brings a unique ability to treat every patient as his own and sets high medical standards with love and compassion. He has special interests in chronic and acute pain management and anesthesia. In his spare time, he enjoys exploring North Carolina by hiking, skiing and snowboarding in the mountains and relaxing at the beach. Although he claims to be a dog person, he currently shares his life with his 3 cats: Sadie, Kellie, and Mack.